The Polish team of Piotr Brzozka and Mariusz Kozak made the most of their trip to South Africa when they finished top of the podium in the Sanlam Investments MTB Invitational in the Western Cape today. 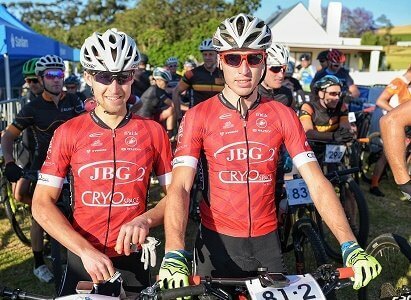 The fifth edition of the two-stage mountain-bike race, presented by ASG Events, took place from the Meerendal Wine Estate in Durbanville, Cape Town, with the second day covering a distance of just under 40km. 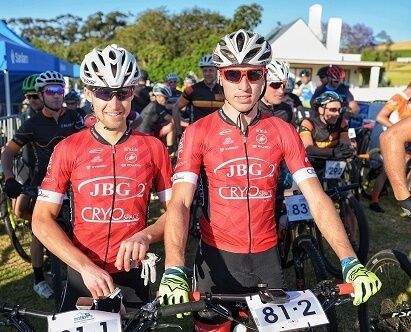 After taking a comfortable 10-minute lead after the first stage yesterday, the JBG2 CryoSpace1 team had to fight off an early attack today before crossing the line in 1:46:53 for an overall time of 3:30:51. This placed them well ahead of Casper Pretorius and Tristan Nortje (Eden Young Guns), whose second stage of 1:55:30 gave them an overall time of 3:48:32. In third place were the second Polish team of Jacek Brzozka and Wojciech Halejak (JBG2 CryoSpace2) in 4:00:48. Piotr Brzozka said the stage had followed a similar pattern to the opening day. “There was a really hard attack early on but we were able to defend that and at the first climb [about 5km into the stage] we managed to get a gap. A former professional cross-country cyclist, Brzozka competed in the 2012 Olympic Games and is in South Africa on a business trip. He said he and Kozak, who live near each other in the south of Poland, had decided to take the opportunity to do some races in the country. Although he had ridden in KwaZulu-Natal previously, Brzozka said this was his first visit to the Western Cape and he had been blown away by the experience. “There are so many great single-tracks and a variety of trails so this region is really perfect,” he added. “It was a memorable experience for us, especially with the weather being so good and considering it is two degrees in Poland right now with lots of rain. Brzozka’s business involves cryotherapy (cold therapy) which is the use of low temperatures for treatment to relieve muscle pain, sprains or swelling after soft-tissue damage. 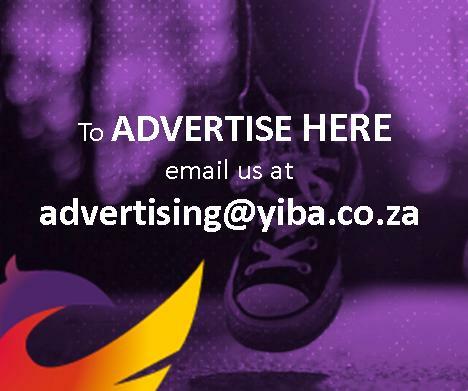 “We are in discussions with our South African partners about the treatment and I do believe this can be a big help to cyclists, whether you are professional or amateur,” he said. The women’s race was won by Anneke Viljoen and Louise Ferreira, riding for Overberg MTB Events. They finished today’s stage in 2:20:25 for an overall time of 4:37:37. In the mixed category, Corne Barnard and Sarita Louw (RA) took the honours in 4:26:53 after crossing the line today in 2:15:30.